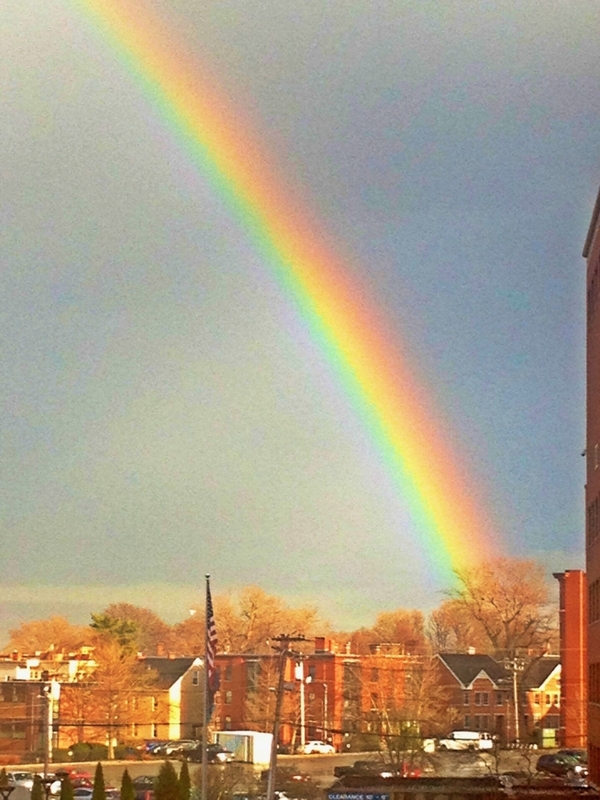 Hope brings significance to each and every moment we encounter. Without it . . . there’s no meaning to anything under the sun. I know it has been a while since my last post. Truthfully, this month has been a challenge—physically, mentally and spiritually. Early in the month, I started my new chemo regimen: dose-dense AC infusions—every other week. I didn’t realize how emotionally bankrupt I would soon become. I guess as my blood counts drop, zapping my energy level like a nuclear missile—my spirit seems to wither too, much like the beautiful, luxurious flower arrangement my nieces sent my way recently, one I’ve been desperate to keep alive. Spring. It’s funny the little things a girl thinks about as Spring emerges: manis, pedis, new open-toed sassy stilettos . . . perhaps a new outfit or two. I covet my yearnings for these things that are simply not to be for me this year. As I try desperately to hide my hideous nails in public, each one purple and black, lifting from chemo-related blood and infection . . . and my equally hideous, neuropathy-plagued feet, no longer acceptable for open-toed sassy shoes or pedis­­—I indeed feel deprived and sad. Today, Lance, my 7-year old, in all his sweet honesty, pointed out the other sad fact that my eyebrows are disappearing, the final hair follicles to die. The simple fact is: it’s hard for me to have a Spring in my step or outlook these days. Regardless of my thoughts filled with vain minutiae, Spring continues to unfold and as the crocuses begin to blossom in my yard, it’s impossible not to hear the heralding trumpet of new life spring forth. With it comes a glimmer of excitement—a hope that day by day the season will continue to blossom, inspiring beauty in its warm welcome. These days, my life is filled with urgent intention. In fact, I find myself anxious and depressed when I’m too fatigued to move because I’m afraid I’m going to miss a moment, a great memory I can’t afford to lose . . . a picture that can never be recaptured. Reflection has become part of my season of change. 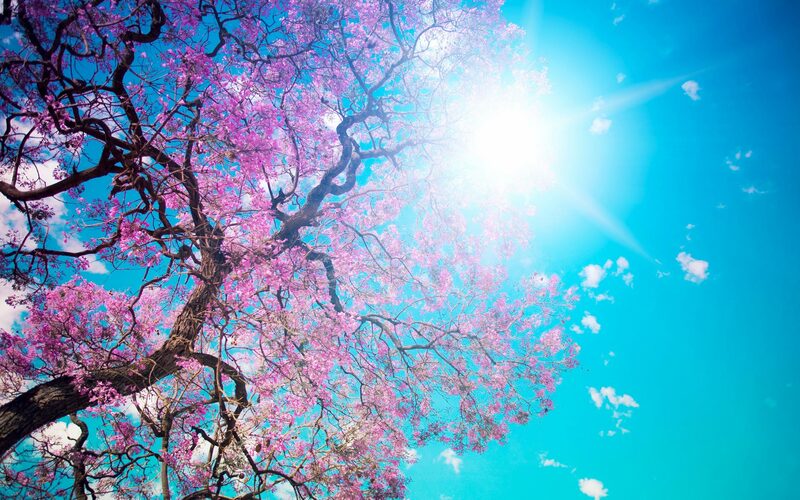 Like Spring’s weather, this season of my life is a gentle reminder that I need to be cognizant of the rebirth taking place all around me—those blossoms that not only take shape in my yard, but in my relationships . . . in my children, in myself. Just as I need Faith to hold me together, I need hope to push me forward. Making it a mission to treat hope as a verb, I choose to actively cherish my desires for the future with anticipation. Spring is here. It’s the start—a rebirth from seeds of hope. I must cherish this moment. This place. This time. It knows no bounds . . . you can never overstay Hope’s welcome. I’ve always been drawn to the sea. In fact, in many ways I feel my body came equipped with a little internal homing device that guides me to the ocean—much like a bird flying south for the winter. Those who have known me for some time and even those who may have stumbled upon this blog have most likely gleaned that my fascination with the ocean is in many ways, tied to the intimate relationship we share with it. An earlier post even revealed my love for sea glass, describing how though I find each piece remarkable in beauty, what really intrigues me most is the story behind each gem—the intimacy attached to the moment it started its journey in the sea. Going through my emails, texts and letters this week, I started thinking a lot about messages. It seems, the best messages received in our lives come from passion . . . deliberate passion. Although no one knows for sure when the first message in a bottle was released, the earliest records show that Theophrastus, an ancient Greek philosopher was the first known person to release such a message in a bottle in an effort to prove that the Mediterranean Sea was formed from the inflowing Atlantic Ocean. 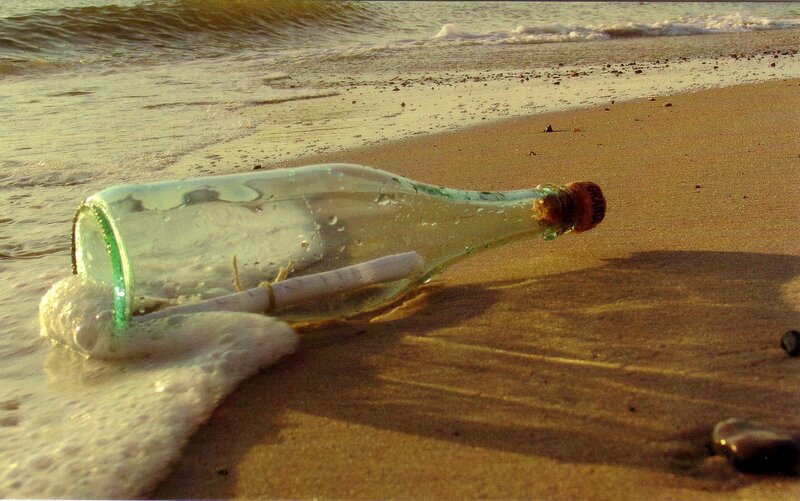 History also reveals many shipwrecked people who resorted to sending messages in bottles. Often these messages weren’t discovered for 100 years or more. Unfortunately, their cries for help were futile—most certainly dying long before the message in the bottle was ever found. To even contemplate the feeling I’d have finding a message in a bottle makes my heart skip a beat. The romantic in me would love to think all messages tucked away in a bottle would be those of a great love story. That thought alone got my mind thinking. What would my message be, were I to send a bottle adrift at sea? Would it be that of a passionate cry for help, or instead a message filled with a rich love story, a Hope that can weather any storm. Thursday started my new cycle of chemo—A/C. Though I anticipated feeling very invigorated Friday with all the steroids onboard, instead by mid-afternoon, I felt rather ill. I started the Neulasta injection that night, taken to help boost my immune system. Though I was initially nervous giving myself a “shot,” it was really quite easy and painless. Yesterday proved to be a different animal altogether. I just didn’t feel like me in the least. My movement was only to use the bathroom. I just felt like junk. There’s nothing more daunting than feeling helpless. Helplessness carries with it a true sense of defeat. Had my bottle been thrown out at sea yesterday, the message filled with earnest passion in the face of defeat would have certainly been written as an S.O.S. — an urgent appeal for help. Glass bottles, though fragile do very well at sea . . . seemingly bobbing endlessly through the sea with no damage. I’ve read stories of sunken ship wreckage with bottles discovered in perfect condition well after 250 years under water. It’s no wonder that bottles were often the chosen vessel during a crisis, as a means of reaching someone—their very durability having the potential to last forever. Through faith, God has thrown the life vest. Not of our own strength, but instead His gift of salvation, the lasting message of Hope. You never know where a message in a bottle will end up or even how long it will take to get there. What we do know is that the messages we send forth in life through the shipwrecks or heartaches we face can have a lasting impact. As I just begin this voyage on a rough sea, I know that there will be many times when I will feel weary and lost and in desperate need to send out a cry for help in my message in a bottle. My hope is that my message will always be that of the ultimate love story—a message of victory, not defeat. Pent house suites, mountaintop lodges, castles atop grand cliffs . . . the allure of high places is something we all crave to experience at one point or another. 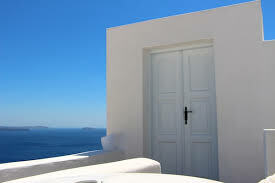 Top level retreats seem to indeed be sought out destinations of choice—the very essence of luxury. When traveling to Santorini, Greece—John and I chose the breathtaking town of Oia to call home for the duration of our stay. The idea of staying in a traditional cave house carved inside volcanic earth was in and of itself—thrilling to the core. Add the fact that it’s panoramically set 1000 feet above the Aegean Sea—well, let’s say the feeling was nothing short of Utopia on steroids. 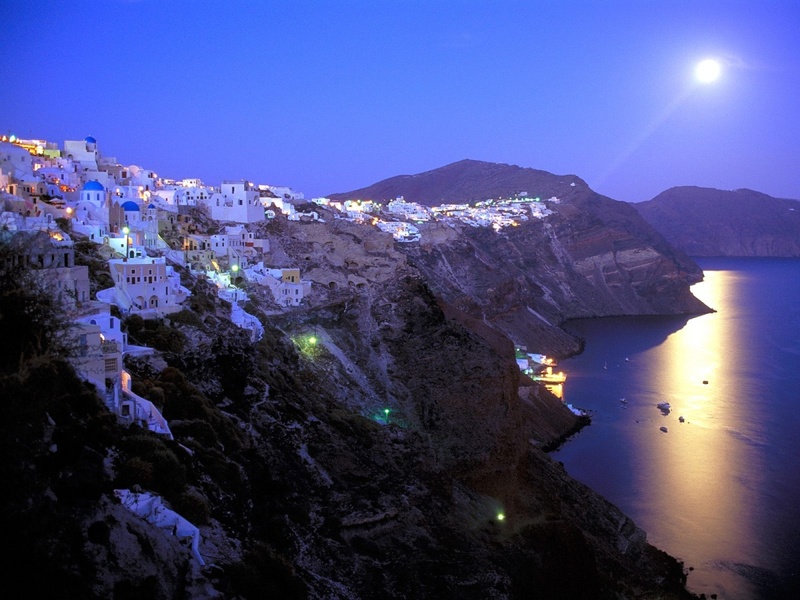 The views coupled with the meandering narrow paths along the steep cliffs proved that though Oia is certainly not for the faint of heart, it is most definitely the choice destination for anyone seeking ultimate beauty . . . on high. Recently, I’ve hit a low point on this pilgrimage called cancer, a point where time seems skewed, warped in fact. One moment everything appears to be moving in slow motion, then BOOM—time seems to be running full speed ahead. 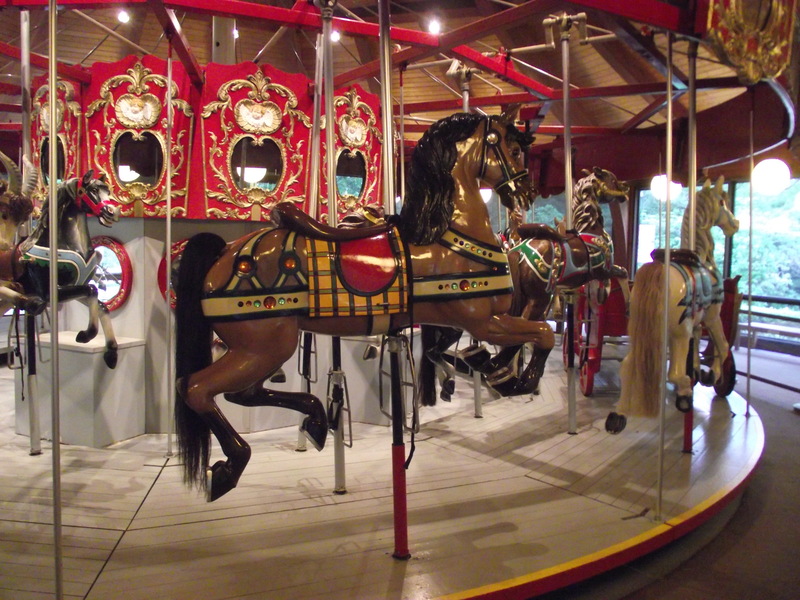 As if by magical “clockwork,” my emotions follow suit, stuck in vacillation-mode. One minute, I’m eager to have chemo in the rear view mirror, while a split second later I become crippled with anxiety about moving beyond chemo onto the next phase of treatment—desperate to stop time in its tracks. Just hours from now, I’ll be infused with my final dose of Taxol, followed by 4 rounds of dose-dense A/C every other week— that lovely chemo cocktail better known as the “Red Devil.” How pleasant. Not exactly a happy hour beverage of choice. It would seem anything with the word devil tied into its nickname . . . can’t be good. As appealing as a free Brazilian wax may seem, if it means having someone gown up to stick a syringe of bright red poison into your vein . . . well, I guess I would have to say hair isn’t such a hardship. All joking aside, as eager as I am to be done with chemo, the thought of what awaits me on the other side is almost too unbearable to embrace just yet. Don’t get me wrong, I yearn for the fatigue, pain, neuropathy, malaise, and hairless head to be in my rearview mirror, but it’s hard to fathom the idea of surgery . . . that which will permanently change me. Forever. I recall the goose bumps I got over those surreal cliffs in Santorini. Truthfully, those goose bumps never came while looking down at the “tiny” wonders more than thee football field lengths away at the bottom. Instead, they came when we were at the bottom—looking up. The view from below always took my breath away. Right now I stand somewhere at the base of my cliff in this cancer journey, longing for that destination on high. Why aren’t I looking up? Only here can I really see the hope and future blessing stretched out before me, the surreal beauty that might even take my breath away . . . if I let it.